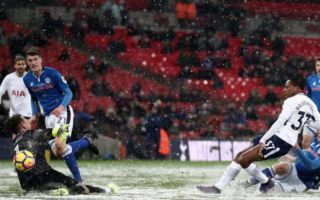 Spurs ran riot against Rochdale this evening, as a hat-trick from Spaniard Fernando Llorente helped them book their place in the quarter finals of the FA Cup. Heung Min-Son, opened the scoring midway through the first half, however they were then pegged pack just before half time through Stephen Humphreys. Llorente then decided to take the game into his own hands, as the former Swansea man bagged a 11-minute hat-trick to put the home side 4-1 up. Strikes from Son and substitute Kyle Walker-Peters then finished the rout, who now have to face Swansea for a chance to play in the semi-finals of the competition for the second year running. Forward Fernando Llorente was on top form for Spurs tonight, as the striker scored an absurdly fast treble to put the home side firmly in the driving seat against their opponents. Llorente has been phenomenal tonight. Is this the boost Llorente needs to kick-start his Spurs career? I know it’s only Rochdale but Lucas Moura has been absolutely class.